Earlier this morning, the U.S. Bureau of Labor Statistics released new data on the U.S. labor market during the month of January. Below are five graphs compiled by Equitable Growth staff highlighting important trends in the data. 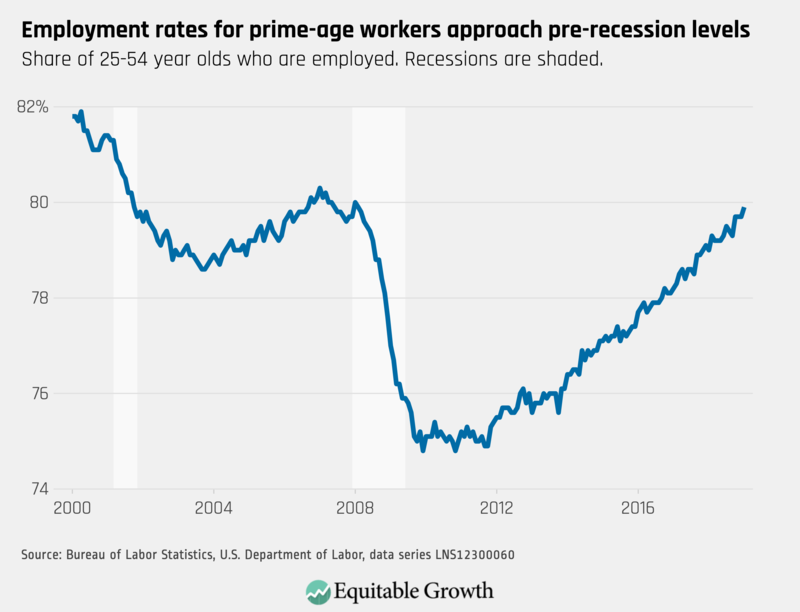 The employment-population ratio was little changed for the entire working age population, but increased slightly for prime-age workers. 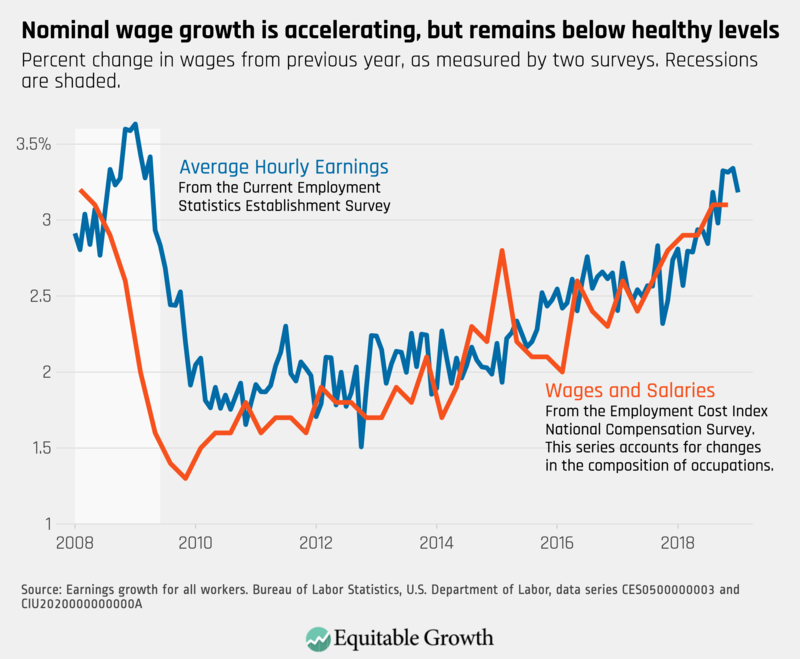 Average hourly earnings increased 3.2% year-over-year, but still has room to grow more to be on target for a tight labor market. 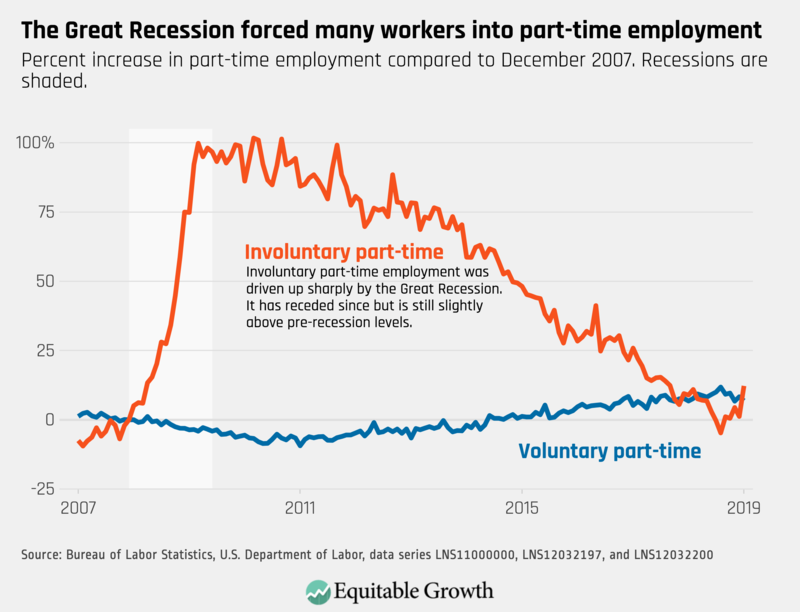 Involuntary part-time employment has recovered from its height in the Great Recession, but has been trending upward slightly during the end of 2018, surpassing voluntary part-time employment in January 2019. 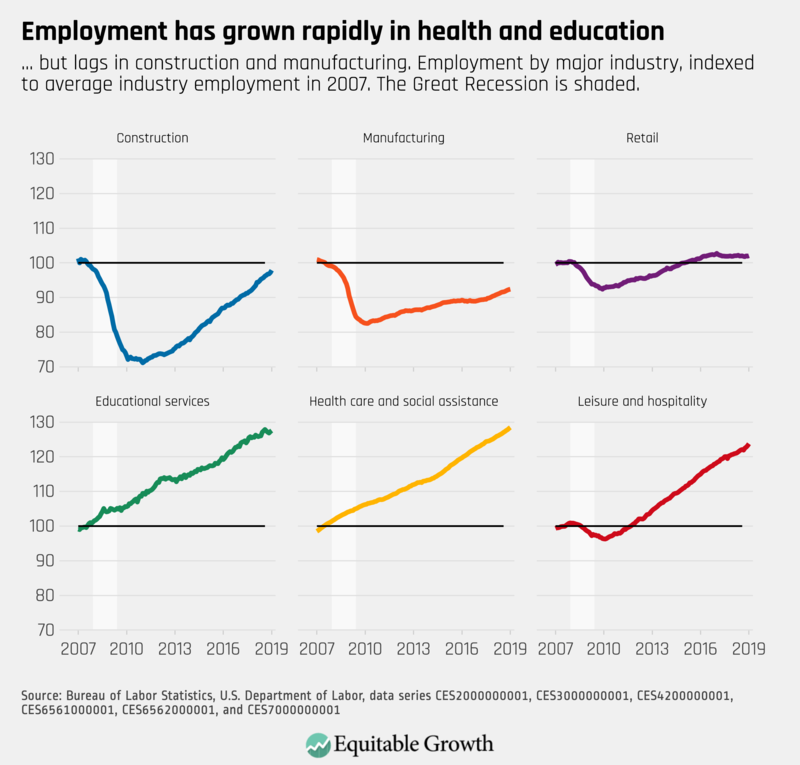 Manufacturing and construction continued their upward trend for January, but continue to be outpaced by service sector jobs in health and education. 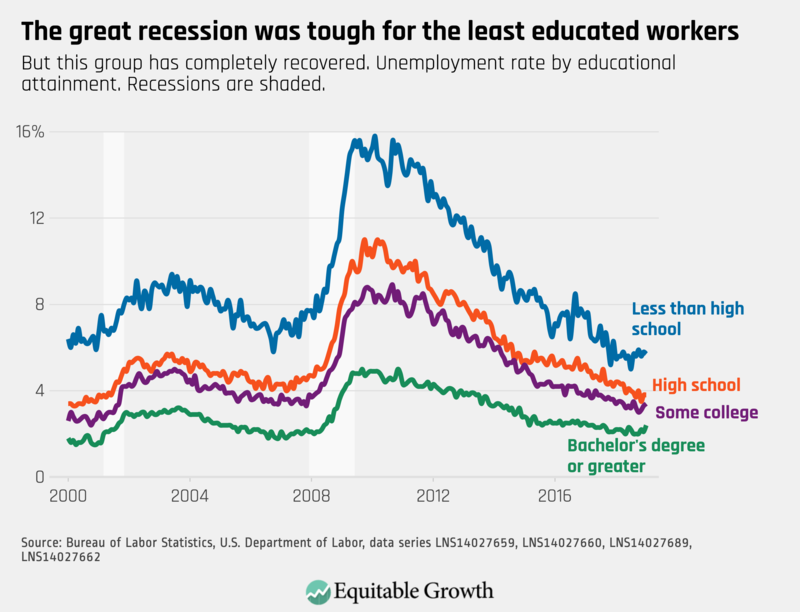 The unemployment rate for workers with a bachelor’s degree or higher increased in January, but the relative level of unemployment remains much lower for workers with more education.